The introduction and preliminary chapters discuss the background and development of CCD technology, and the structure and operation of CCD image sensors. Subsequent chapters examine the technology and sensor manufacturing process, including modelling, the theories behind digital imaging processing, and the applications of digital cameras. Finally, the editor discusses future technological and market trends anticipated in this fast growing industry. 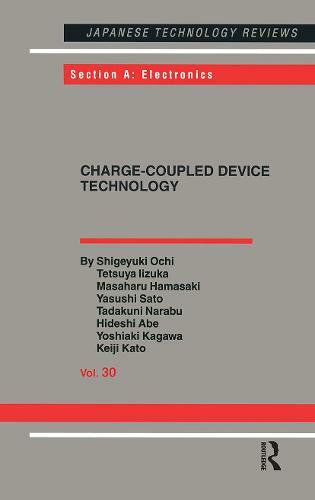 This title contains the most up-to-date and comprehensive information on the development of the Charge-Coupled Device (CCD), which makes possible the widespread use of consumer camcorders and broadcasting color cameras. The material in this book is comprehensive enough to be of great value to researchers, industrialists and post-graduate students in the area of image technology, while the simplicity and clarity of explanation make it easy to understand to the non-expert.